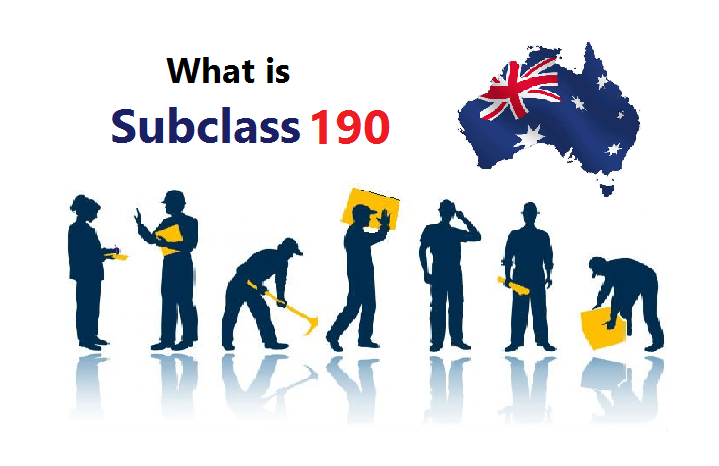 » Australian Immigration: What is Subclass 190? Australian Immigration: What is Subclass 190? Australia is a country rich with opportunities for skilled workers. Every year a number of skilled workers move to Australia to find better opportunities for work. Pakistanis are also given opportunities by the Australian government to immigrate and explore the facilities. A number of visas are offered that include business visa, study visa, job visa etc. These visa options just increase the opportunities to move to Australia. We hear different types of visa that are offered by the Australian government. One being among them is subclass 190. But what is subclass 190? You’ll get to find every detail about it in this article. Subclass 190 is a special Australian Skilled nominated Visa. Through this visa, you can live and earn anywhere in Australia. The visa is given on permanent basis. You don’t have to rely on your state or family members for living there. This visa permits you to live and make a living on your own. Moreover, it allows certain family members of the applicant to move to Australia. 2 How to apply for subclass 190? 5 What is Subclass 190 Visa Processing Time? 7 What is Subclass 190 Checklist? 10 How to Decide between Subclass 189 and Subclass 190? How to apply for subclass 190? After successful submission of Expression of Interest, you’ll receive an invitation to apply for subclass 190. The most interesting fact about what is Subclass 190 is about to come!!! First, you undergo a skills assessment test. The relevant government body assess you on the basis of your skills. Then the Department of Immigration and Border Protection (DIBP) decides whether or not you possess the required level of skills for your nominated occupation. Next, you submit an Expression of Interest once you pass the skills assessment test. You can do this in or out of Australia. You need to apply for state sponsorship along with the Expression of Interest. You must meet the sponsorship requirements for the purpose and have relevant work experience. Once you receive an Invitation to Apply, you can resume the DIBP stage of the application. Submit your complete application. Once DIBP approves the application, your visa can be granted. Do you know about Subclass 189? It is also a great way to move to Australia. This visa undergoes priority processing, so no matter when you submitted your application, it will be processed in accordance to the order in which the department considers it. You must not leave your nominated state/territory for at least two years. What is Subclass 190 Visa Processing Time? Since there are a number of factors that needs to be considered while processing a visa application, the process may take long. A number of documents need verification including educational documents, health records, point test results and many more. But above all the thing that really takes long is the priority processing arrangement. Skilled migration applications are categorized into different priority groups. As mentioned earlier, the application is processed according to its priority number no matter when it was submitted. Usually, Subclass 190 is given higher priority in a group. The time duration on an average is 3 months. Points Test is a valid check to evaluate your chances of Australian immigration. Points test calculator gives a legal and efficient way to judge your score. It analyzes the eligibility and feasibility for immigration. It calculates the points in different categories including age, English language competency, skilled employment, educational qualifications, overseas work experience, Australian work experience and nomination by state/territory etc. Points for each category are further divided into sub classes. Australian Immigration Points Calculator is available online. Different websites offer this service. It is easy to use. You just have to enter the information asked like your age, work experience etc. Certain formulas take your data as an input and then display your score. This score helps you determine whether or not you are eligible to apply for Australian immigration. You must score at least 60 points to pass this test. What is Subclass 190 Checklist? A checklist helps you determine that you have considered every detail and every document is attached with your application. To keep the process smooth, we suggest you to attach as many documents as possible. It will increase the chances of processing your application at a fast pace. With the maximum information provided on your part, the application processing will certainly be simple and easy. Scan your original documents and upload them with your application. Scan certified copies of your documents. Fake or uncertified copies are not accepted. Also, you don’t have to attach the original copies unless asked for. We have listed some important checks that you need to consider when lodging an application. The checklist applies on you and any other family member you are applying for. An evidence to prove you fulfil English Competency Requirements. Subclass 489 is a skilled regional visa. It has further two classes, one- invited pathway and the other – extended stay pathway. Unlike subclass 190, a subclass 489 visa holder has to spend 4 years in his specified regional space, then they will get permanent residency. For that purpose, they need to submit an expression of interest, have an invite and must be sponsored by a family member, employee, state or territory. Subclass 190 in contrast, is a newer visa program. Here, you have to submit an expression of interest with regard to your desired skills, your experience and an application to pursue your career in Australia. After the grant of permanent residency, the candidate can live wherever he wants in Australia. Subclass 189 and subclass 190 both are skilled visas intended for Australian immigration of skilled workers. The question frequently asked is about the difference between the two. Both visas vary in a few aspects. The major difference lies in the way the candidate applies for them. Subclass 189 is an independent skilled visa aimed for the Australian immigration of skilled professionals and workers. Whereas subclass 190 is a state sponsored skilled visa for Australian immigration. Subclass 189 and subclass 190, both are a part of General Skilled Migration scheme. The Department of Immigration and Border Protection (DIBP) charge the same fee to process both applications. Visa processing and application types are also way too similar. The application processing steps for both visas include Skill Assessment, Expression of Interest and Department of Immigration and Border Protection Visa Application. The big difference is due to the state sponsorship application. For subclass 189, the applicant can lodge an application independently or he may be sponsored by a family member or an employee. But for subclass 190, the applicant should be nominated by a state/territory. State sponsorship is not similar to the sponsorship by an employee of a company or a firm as a result of which the candidate gets a job. Instead, in this case, the employee is nominated by an Australian state/territory. Another difference lies in the Skilled Occupation Lists (SOL). Skills listed in SOL generally refer to subclass 189. And the list of occupations eligible for subclass 190 is listed in Consolidated Skilled Occupation List (CSOL). Moreover, subclass 190 requires the candidate to live and work in the nominated state/territory for a minimum of 2 years and participate in the surveys conducted meanwhile. While in case of subclass 189, the candidate is free to live anywhere in Australia. How to Decide between Subclass 189 and Subclass 190? First you have to check whether the skill you want to apply against is in SOL or CSOL. In case, your desired skill is in CSOL, you have to apply for a state sponsorship. So, if you need a sponsorship from an Australian state or territory, then it is better to apply for subclass 190. Otherwise, you may apply for subclass 189. Both visas allow you live and work in Australia permanently.